We offer open shelving options for kitchens, bathrooms, and any space you may need them for a more open and impressive look. These shelves are great for holding decor, books, or dinnerware. 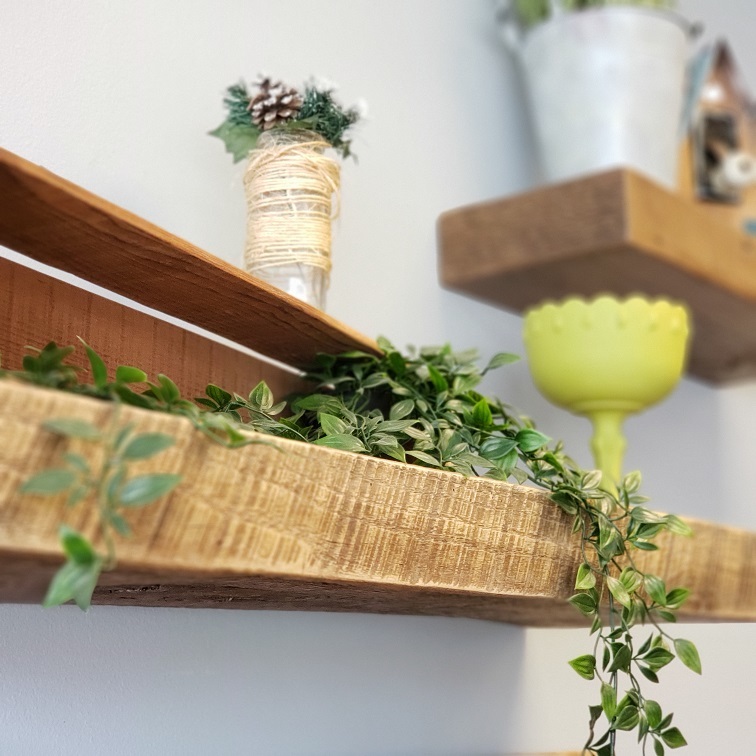 At our showroom, you can purchase L brackets or piping to support these shelves and create a rustic look. Talk to a sales associate today about ordering a pair of custom shelves to fit your space perfectly.